2015 (Southern) York Co CBC: Moody Territory. 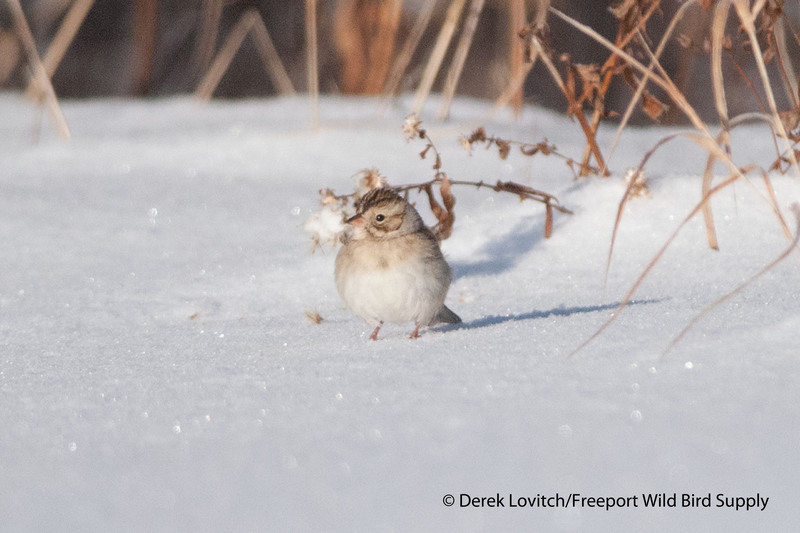 It’s Christmas Bird Count season! The count period began yesterday (Monday, 12/14), and as usual, I participated in Maine’s first count of the season, the (Southern) York County Count. This year, I was joined by Kristen Lindquist and Jeannette, covering the “Moody Territory” that covers the marshes, beaches, thickets, and neighborhoods on the east side of Route 1, between Eldridge Road in Wells and the center of downtown Ogunquit, including Moody Point and Moody Beach. Despite temperatures well above normal in the mid-40’s, a light east wind and persistent light drizzle made for a rather raw day. However, the continuing mild temperatures also reduced the concentration of birds in the warm microclimates and dense thickets that usually make this territory so, well, fruitful (pardon the pun!). And although we had a lot of birds overall, diversity was a little below average for me, and there were fewer concentrations of birds – many species were in fairly low numbers compared to what I usually find here. The lack of snow and ice was certainly supporting plenty of birds in this area, but they weren’t concentrated at warm edges and seasonal hotspots like they usually are. In fact, the best days on this count are when it’s clear and cold, with seasonably cold (or colder) and snowy (or snowier) days and weeks prior. Check out my report from the frigid and snowy 2013 count, for example. We began the day as usual, with a dawn seawatch at Moody Point, with several close alcids, fairly close Black-legged Kittiwakes, and decent numbers of all of the expected overwintering waterbirds. Three small flocks of Lesser Scaup (total of 21) migrating south were a surprise. We were even more surprised to later notice that not only was this just the 5th count record of the species, but it was also the first time more than 1 had been seen! These birds are no doubt late in departing their still-unfrozen northern lakes, bays, and rivers. Conspicuous in their absence however, was the complete dearth of Yellow-rumped Warblers (almost no bayberry crop was seen at all), and Carolina Wrens (they really did get hammered over these last two winters), but our other “feeder birds” such as Black-capped Chickadee, Tufted Titmouse, and House Finch were actually above average. Although our birdlist and respective counts grew steadily through the day, we were lamenting the lack of rarities that this territory has become known for. Granted, the bar was pretty high. But our perception changed over the course of about 5 minutes. 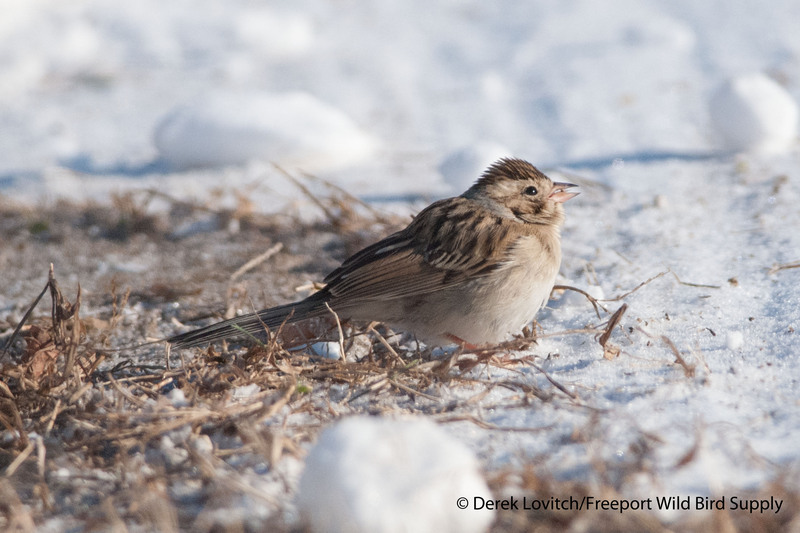 First, I spotted the count’s second ever Clay-colored Sparrow (on Huckleberry St, and then later relocated and photographed on Cranberry St). As the sparrow flew from his original spot, I spotted a Baltimore Oriole as we searched for the sparrow on Huckleberry St. This was a 5th count record. But note that my phone-binning attempt was not nearly as successful (the real cameras were in the car due to the persistent drizzle). You can kinda see it’s a bird, and there are two wingbars, and if you look really, really hard, you can just barely make out a little bit of orange on the head and chest. A little imagination will help. We also finished the day off with a continuing Dickcissel (6th count record) that has been present for several weeks now at The Sweatshirt Shop on Route One, a perfect way to end our birding day. Start: 7:15 – 45F, very light E, cloudy. End: 2:40 – 46F, very light E, drizzle. Total species: 56 (just a little below average). This entry was posted in Birding in Maine, Weather and Birding and tagged "Birds, Baltimore Oriole, Birding, Christmas Bird Counts, Clay-colored Sparrow, Moody Beach, Ogunquit, Wells, York County on December 15, 2015 by Derek. 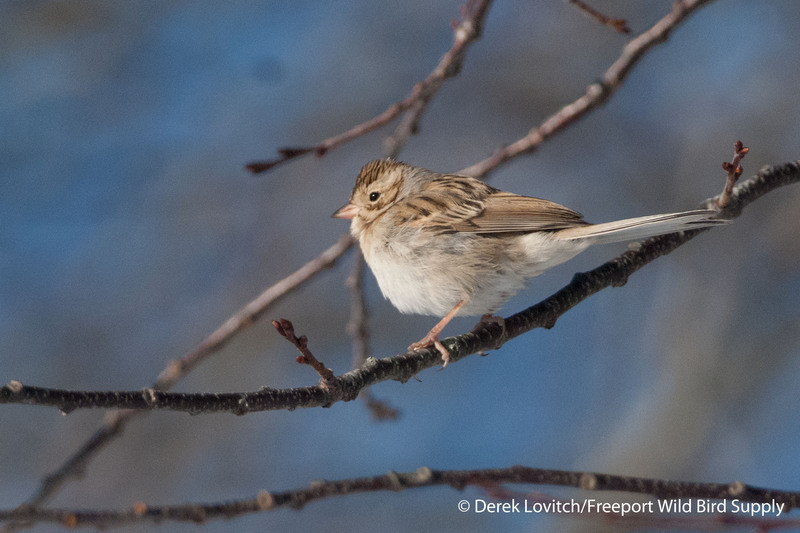 The Southern York County Christmas Bird Count (CBC) was held on Monday, and this year, Kristen Lindquist and Phil McCormack joined me in the Moody section of the territory. I’ve been doing this territory for about 8 years now, and have come to know and love it. There’s lots of thickets, wooded neighborhoods with feeders, dunes, beach, river, Saltmarsh, ocean, and just about everything in between. Running from about Eldridge Rd in the Moody section of Wells, south to the center of downtown Ogunquit, lots of intriguing winter habitats are contained within. The Moody Marsh of the Ogunquit River, Beach Plum Farm, Ogunquit Beach, and the edges of the Wells Sewage treatment facility are all now regular parts of my birding routine after first visiting them when doing this CBC. Having a small territory allows us to thoroughly cover many nooks and crannies. We do a lot of walking – about 10 miles combined for the party, compared to only 10.5 by car. Being outside – even in the bitter cold of yesterday morning – and being thorough always produces good birds and good variety on a CBC, but each year I am absolutely blown away by the quality and diversity of the birds I find in this territory. In fact, one year, Luke Seitz and I had a 1st, 2nd, 3rd, 4th, and 5th count record, and in the very next year, we had a 1st, 2nd (x2), 3rd, 4th, 5th, 6th, and 7th count record! Incredible! And yesterday did not disappoint. Deep snow and frigid temperatures certainly caused some rarities and so-called half-hardies to perish, or at least pushed many of them to points further south. Open fresh water was limited, and deep snow prevented us from checking a few places. So it did not surprise me that we “only” tallied 57 species (compared to last year’s mild December, when Luke and I tallied an exceptional 67 species), and we didn’t get a whole lot of top-5 records. Of course, TWO 1st count records more than made up for it! And a 5th, and a 6th, and a 7th, and two 9th! 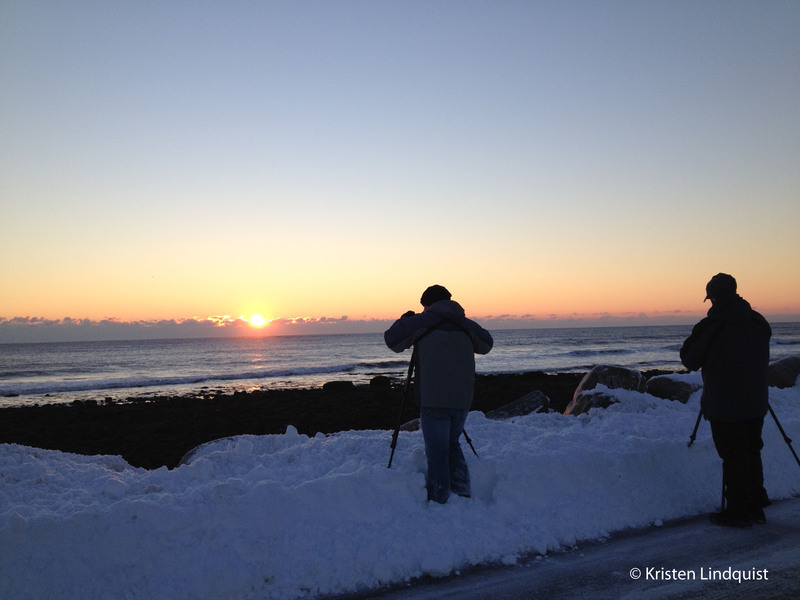 As usual, we began with a dawn seawatch at Moody Point. Heat shimmer and painful cold reduced visibility and our duration here, but there wasn’t too much going on thanks to a light westerly wind. As I was photographing it, it flew closer, and landed right over my head as I was kneeling in over a foot of snow. Apparently, it wanted to get back to its favorite spot (which is continued to frequent at least through day’s end) at the edge of the parking lot where a plow had scraped down to the soil. We were still talking about our spiffy little Clay-color when Kristen spotted a Brown Thrasher hunkered down in a tangle of Multiflora Rose. Another first count record! Perhaps the rest of the day was bound to be a bit anticlimactic after all of that fun before 9:30am, but we still had some great birding. A lone hen Greater Scaup flew down the OgunquitRiver, while a huge assemblage of 480 Mallards and 86 American Black Ducks roosted at the edge of the marsh. Much to my surprise – given those numbers – there were no other lingering dabblers. An Iceland Gull passed by MoodyBeach, heading south, and on OgunquitBeach, we found an American Pipit. A huge aggregation of 186 Sanderlings (an all-time high count for the entire territory in a season!) contained a dozen Dunlin. And finally, another group (poachers!) pointed out a Peregrine Falcon having lunch on the marsh – just before its lunch was pilfered by a marauding Bald Eagle! Speaking of lunch, a round of grilled veggie sandwiches at the Village Market in Ogunquit rounded out our experience. Oh yeah, and then with an hour of daylight left, we raced down to Hampton, New Hampshire in an attempt to twitch a white Gyrfalcon that had been seen that morning (and the previous two days). Unfortunately, we soon learned that it had not been seen since about 8:00am. Well, it was worth a shot. 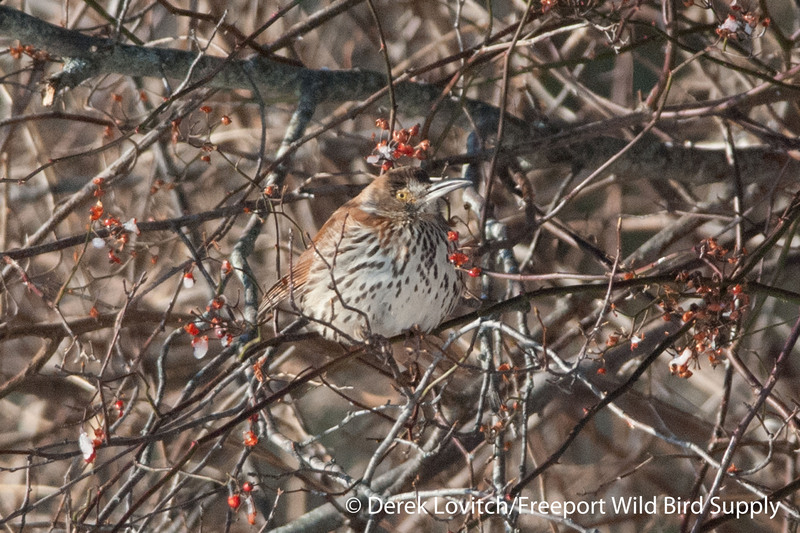 This entry was posted in Birding in Maine and tagged Birding, Brown Thrasher, Christmas Bird Counts, Clay-colored Sparrow, Moody, Moody Beach, Moody Point, Ogunquit, Wells, York County on December 17, 2013 by Derek.